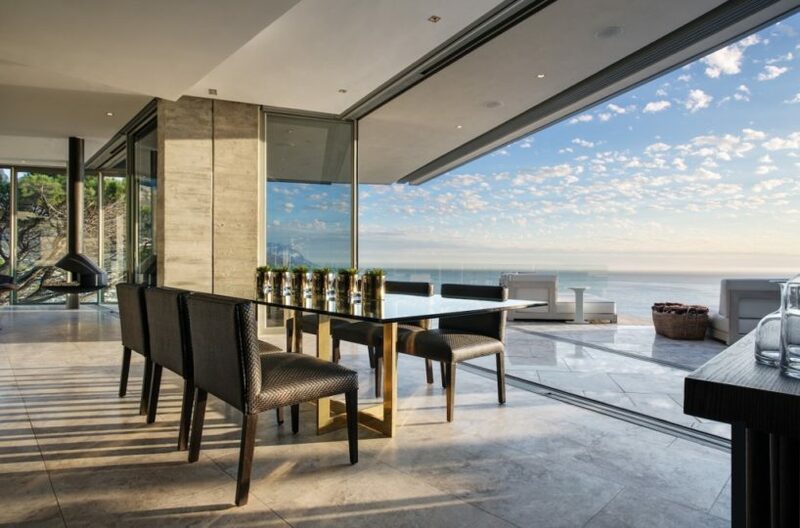 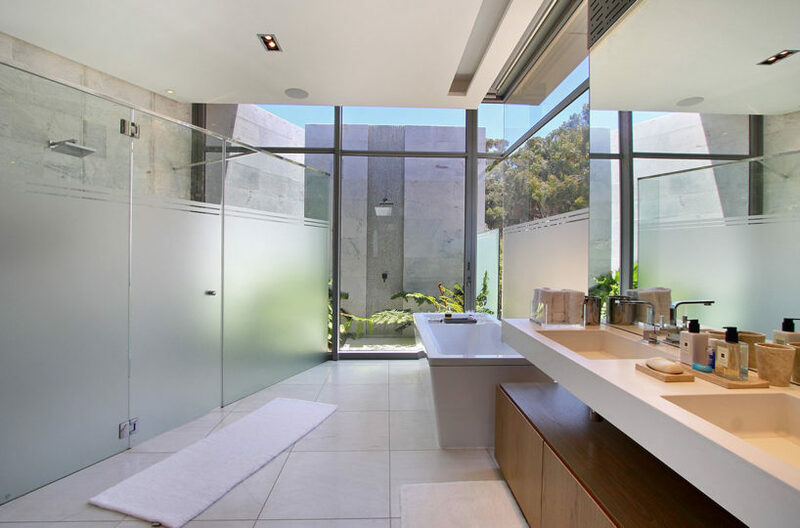 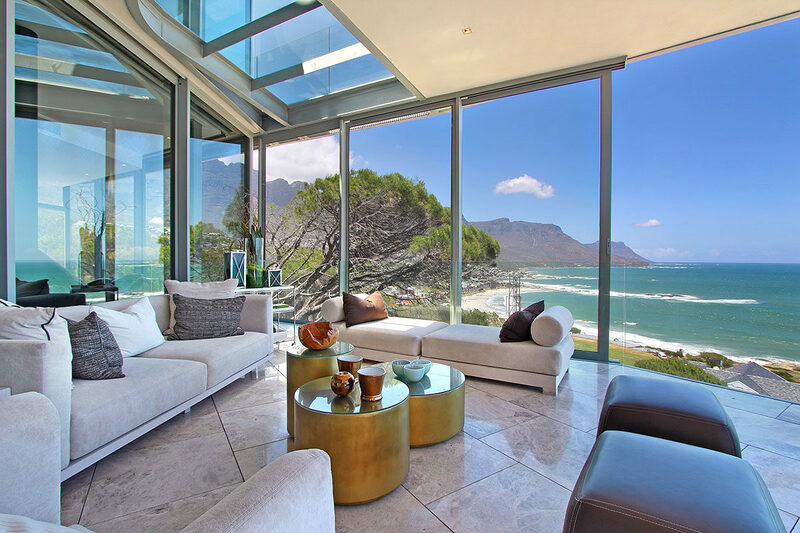 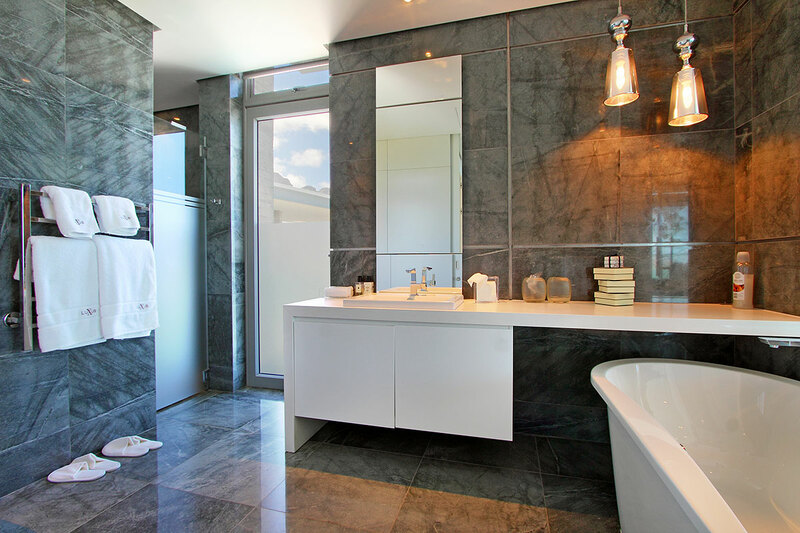 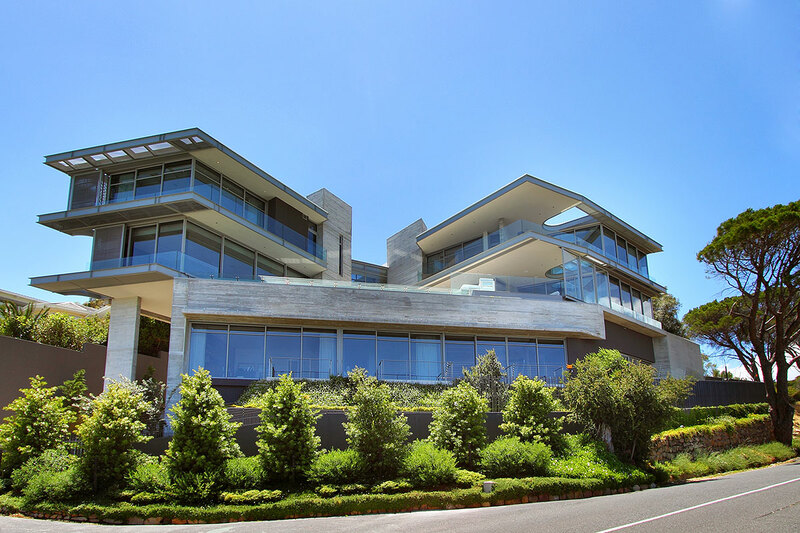 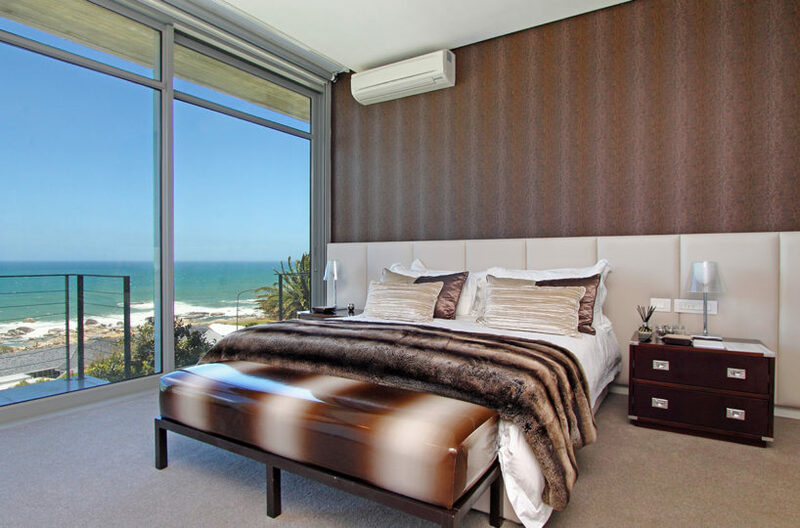 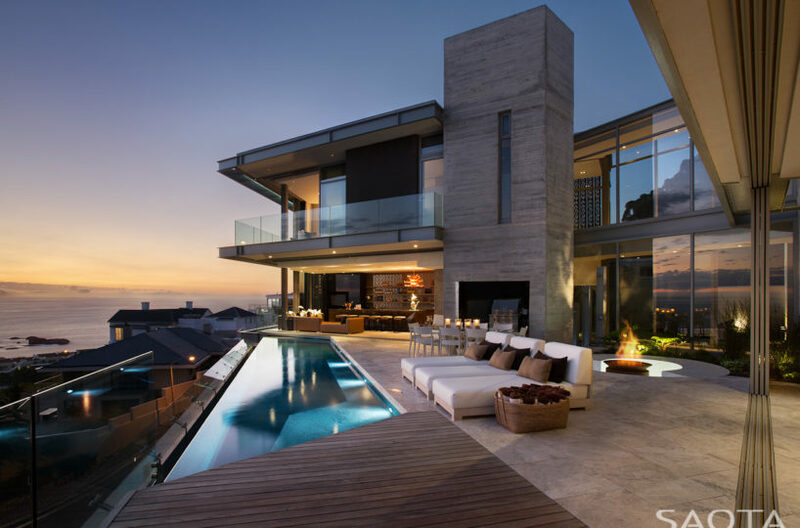 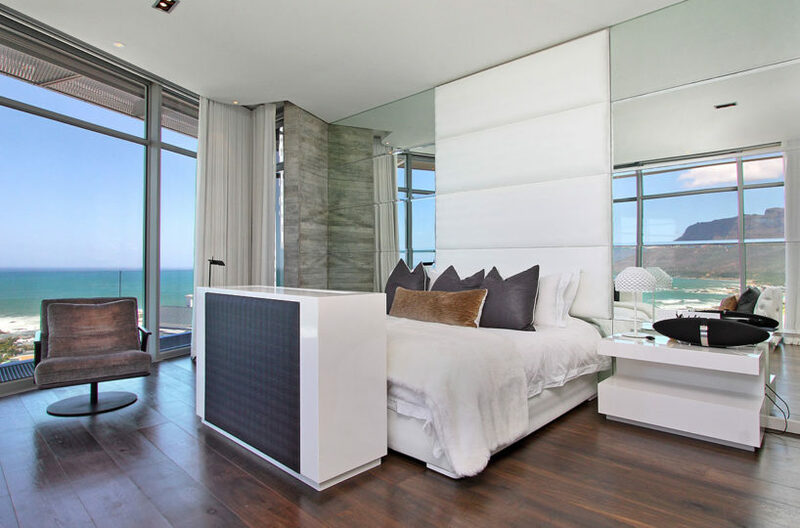 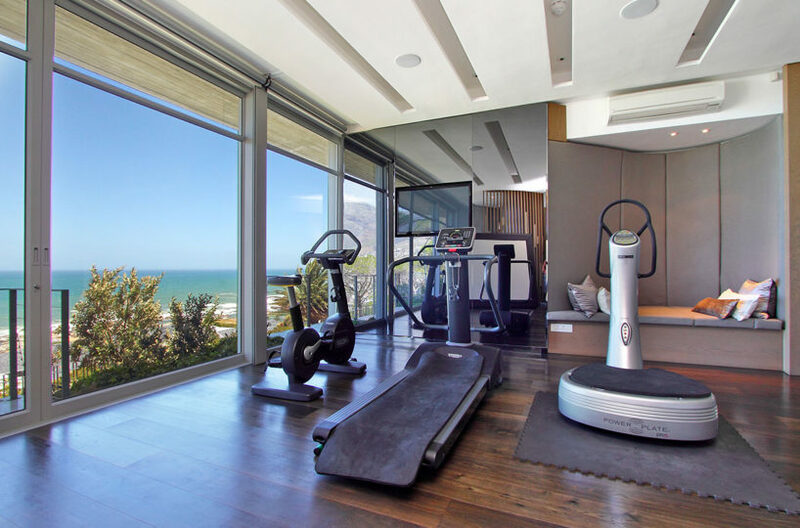 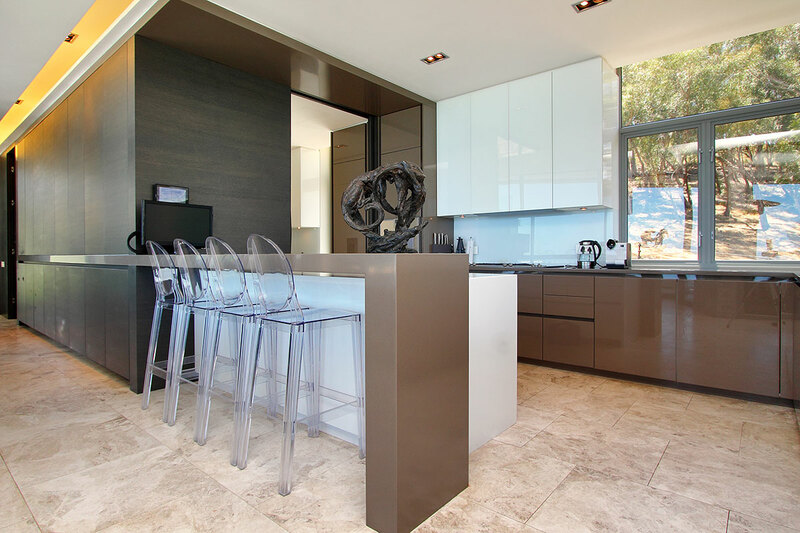 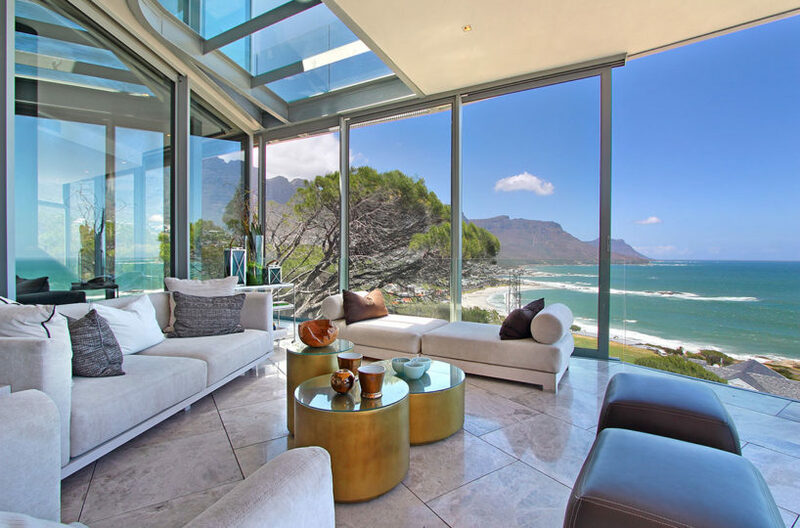 Villa Luxus on the prestigious Clifton beach area in Cape Town, offers spectacular views, cutting edge design and a fully staffed villa for your enjoyment. The Clifton villa has 5 double bedrooms en-suite with king size beds and sea views. The rooms are spacious and include all the luxuries such as black-out blinds, some with fireplaces and all with wide screen televisions and air conditioning. 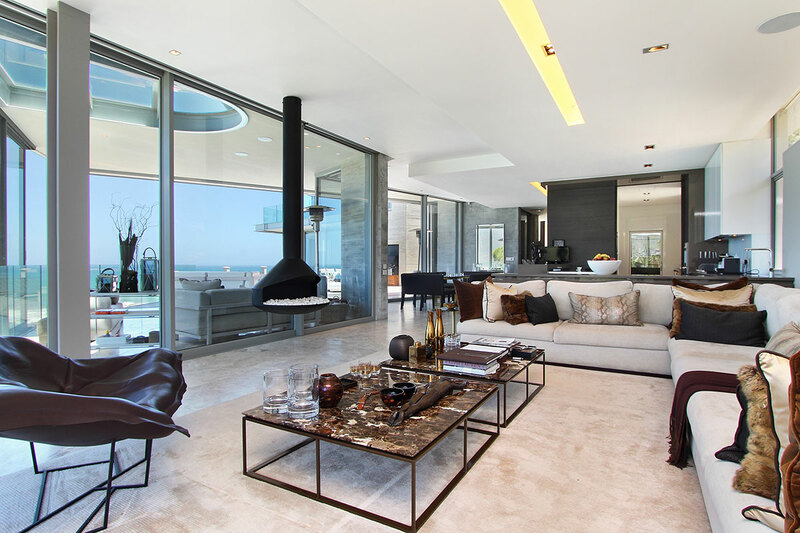 The living spaces are expansive and offer a corner for every mood. 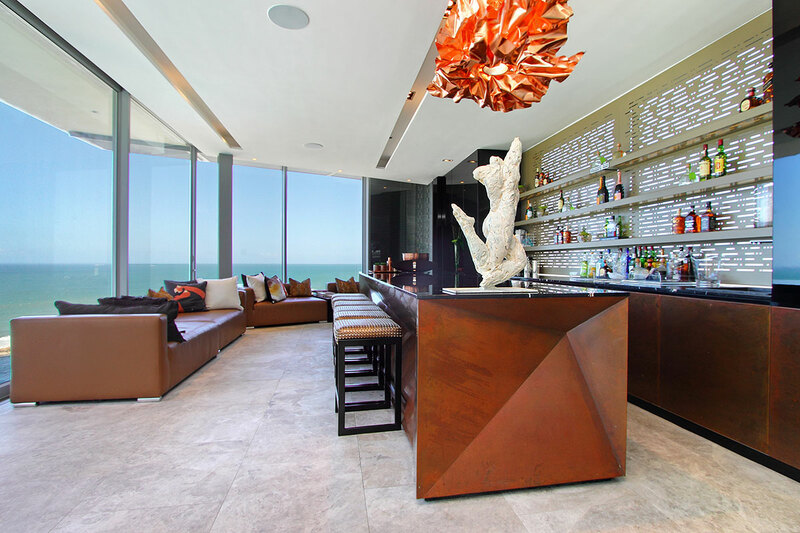 The decor is modern with an impressive Art collection and oozes style and sophistication. 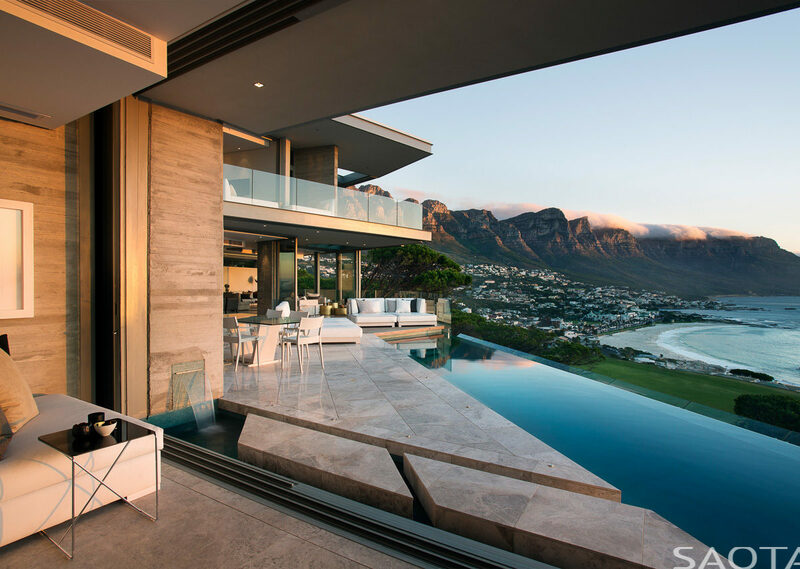 The outdoor terraces are arguably the best in Clifton with 270 degree views over the Atlantic Ocean and the famous 12 Apostle Mountain range. 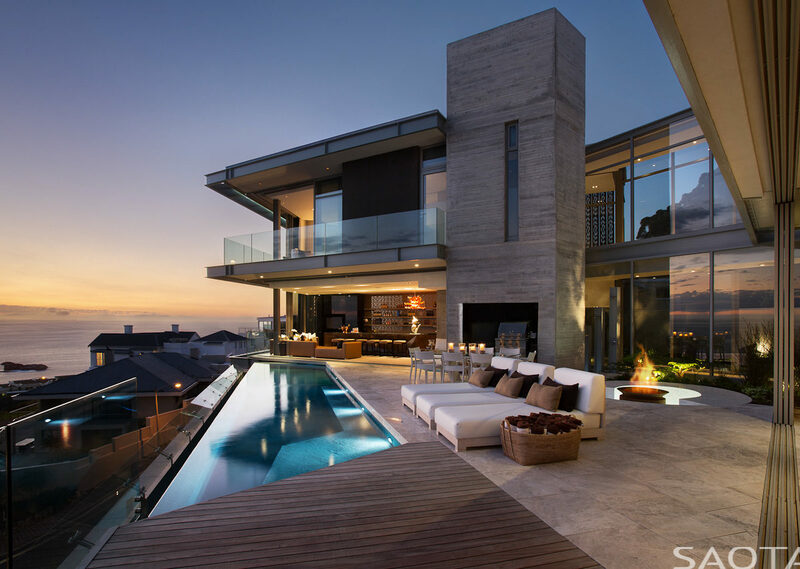 The sun sets right in front of you as you look over Clifton and Camps Bay. Outside you will find a decadent fire pit with built in seating, a rim flow pool, leather outdoor seating and loungers, as well as a unique ‘New York Style’ bar area for your evening cocktails. 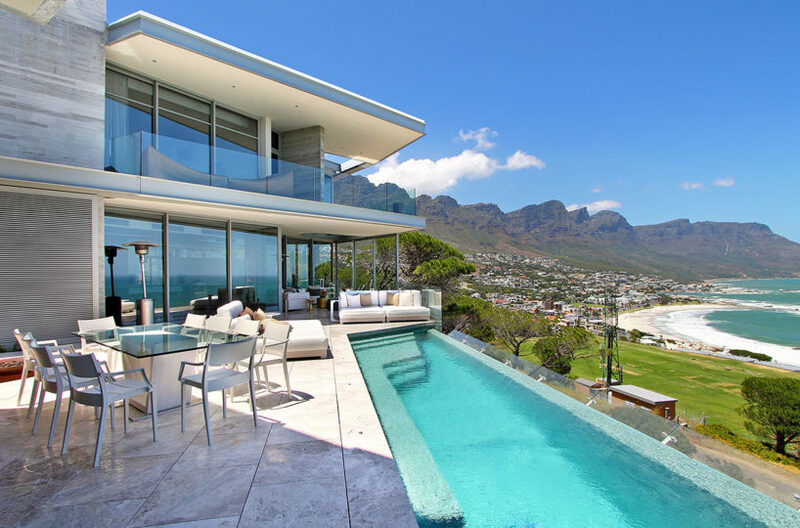 The Clifton villa is spoiling on every level and the in house staff are there to make sure your every need is met. 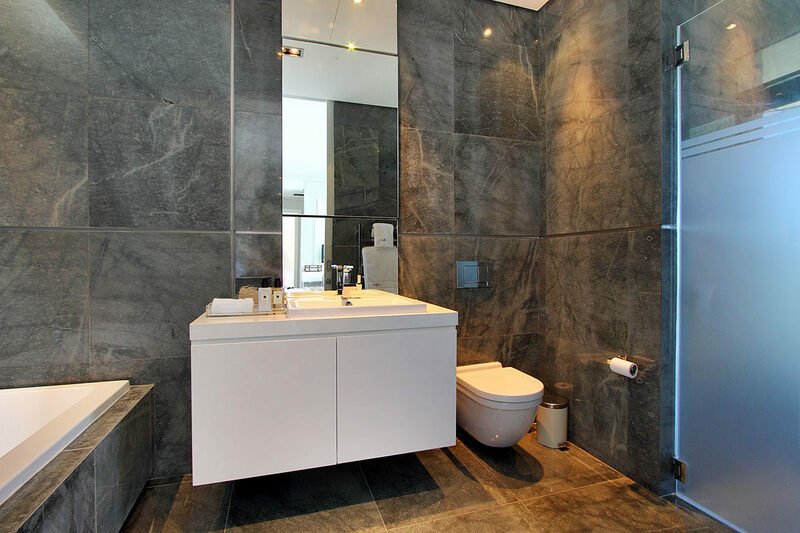 Villa Luxus also includes a gym, massage room, study, wine cellar, and 2 outdoor showers. 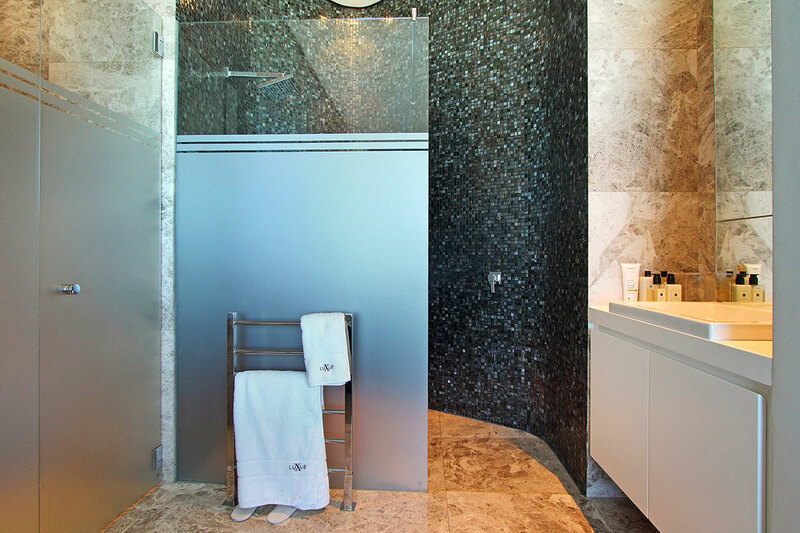 A private concierge service is included, as well as an in-house chef and daily house-keeping. 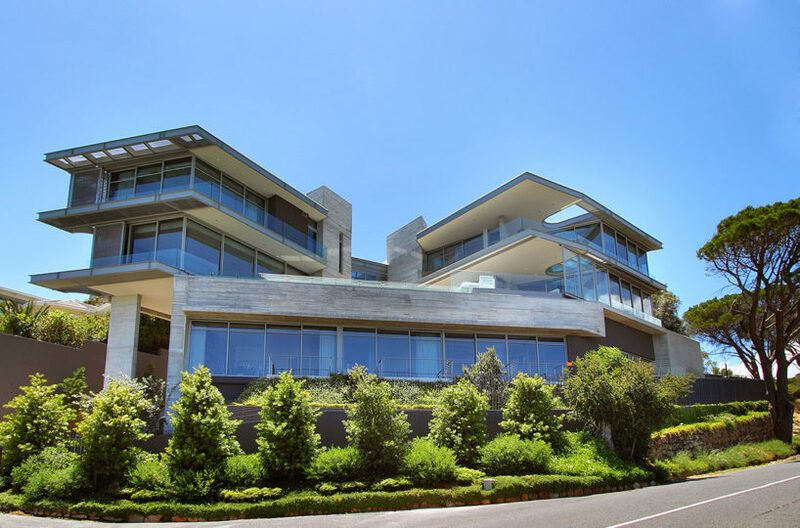 A choice of Mercedes Benz, S500 or Ferrari 458 with a driver could be arranged for an additional fee. 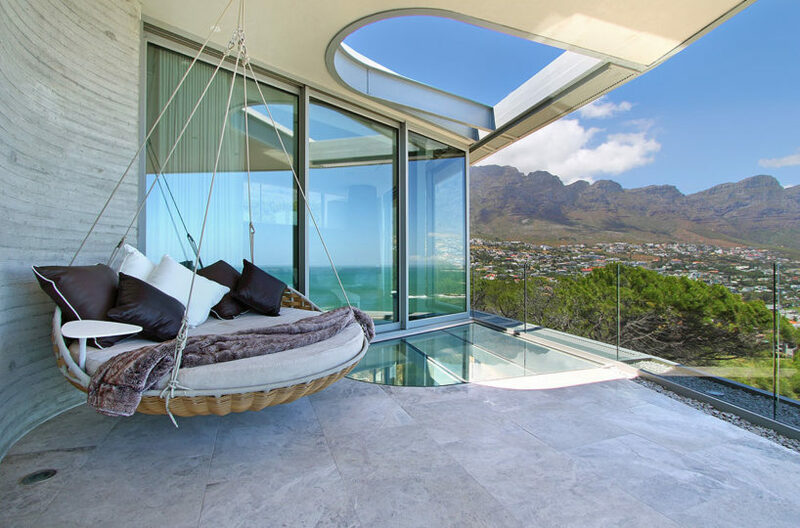 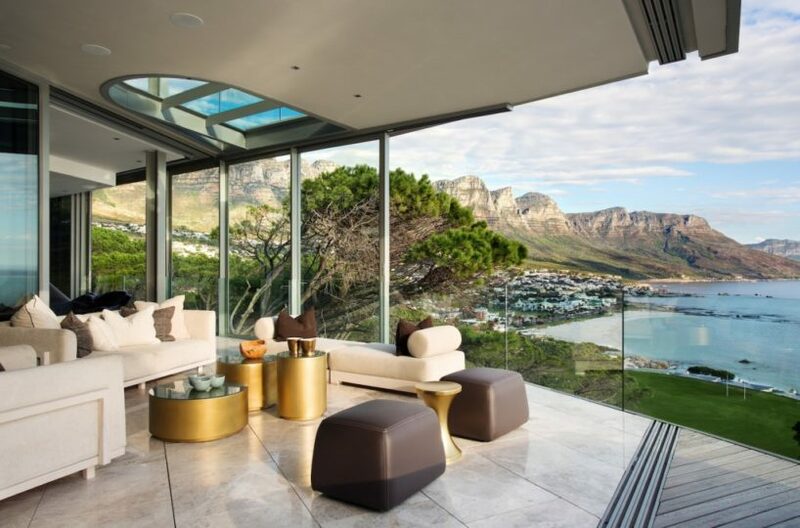 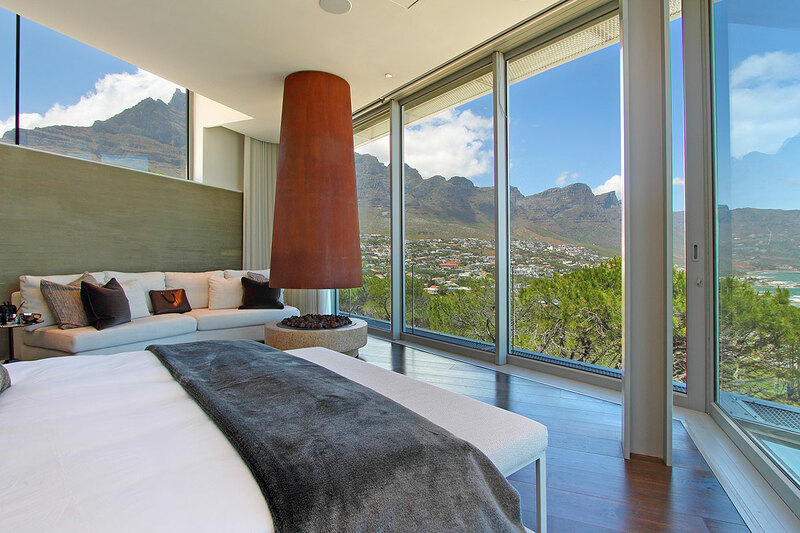 The Clifton Villa is one of the most decadent holiday villas to rent in Cape Town. 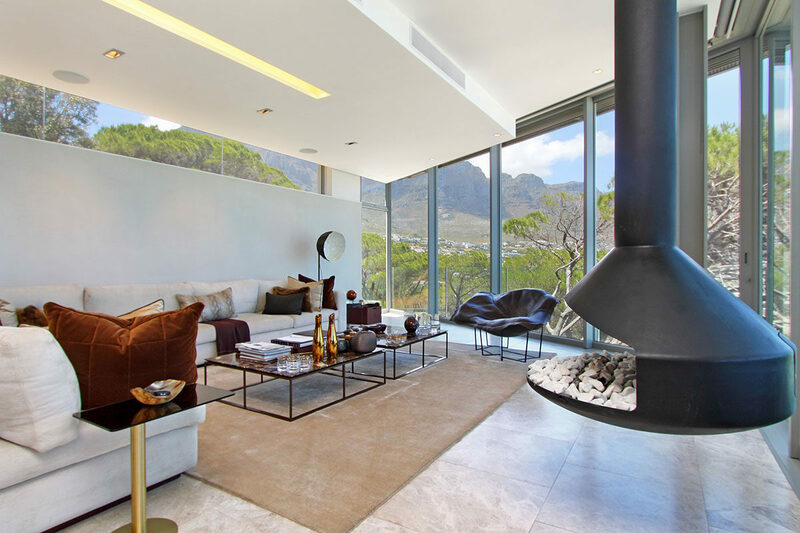 It is nestled against the mountain and therefore protected from the wind and is just a minute away from both the Clifton beaches and Camps Bay. 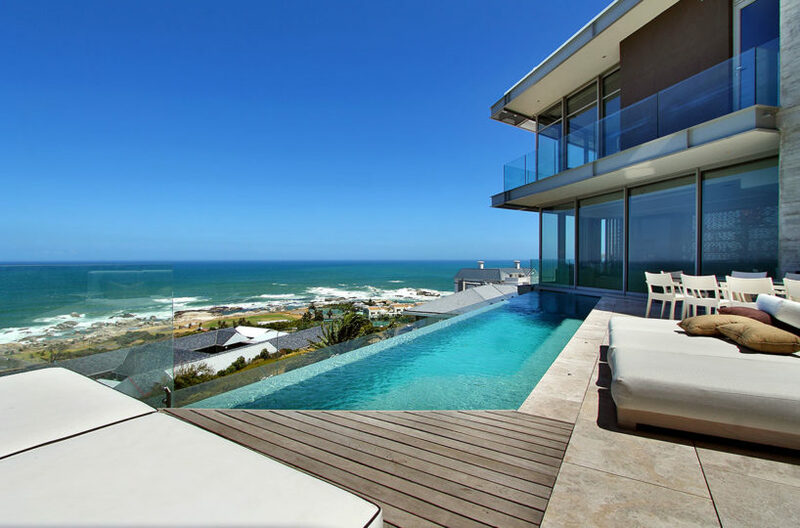 The five bedroom villa will make you feel like you are floating through your holiday, relaxed and away from it all yet on the corner of where all the action is happening.